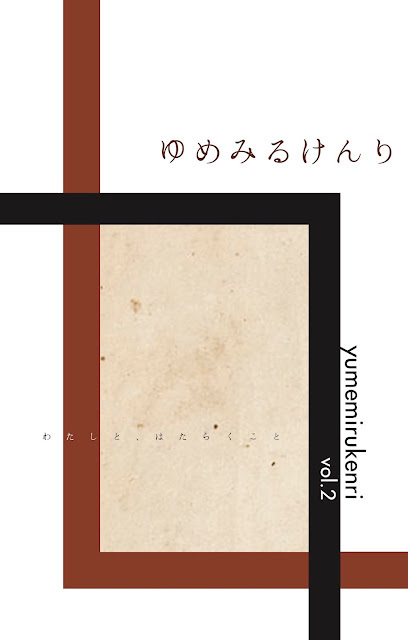 Our zine "yumemirukenri 02" is now on sale. The issue is: I, Working. E-book can be purchased on Amazon's Kindle Store for approx. $3.00. Also, printed ver. is available. See the page "How to purchase?" .